Up until about 2006, I was the first in line to talk badly about Minnesota wine. Little did I know at the time how fast things were going to change. It’s a fantastic three act play, the final act we are just now entering. Here’s the story. The first great leap in cold climate wine came in the 1940’s to the 1990’s through Elmer Swenson of Osceola, Wisconsin, the grandfather of the cold climate industry. There is no question that he was the catalyst for the industry we are seeing grow before our eyes today. Elmer worked tirelessly for decades on his farm, strategically cross breeding vines to develop flavor and hardiness. He brought his cuttings and developments to a University of Minnesota “Field Day” in 1967 and found little enthusiasm from the staff. Staying in contact with the horticulture department, he got a job as “gardener” in 1969 giving him the in he needed, and in 1972 he dropped off some new vine material to the head of the department saying he could have it if they name it and distribute it. The University of Minnesota took him up on his offer. That moment was leap number one in the cold climate saga. See Bruce Smith’s presentation on History of the early Swenson Hybrids for more information. Elmer believed in sharing information, sharing cuttings, and pushing others to do the same. This sage advice is something that will come around again in our story as we approach present day. Going back to my “Pineapple industry” statement: maybe it was my youth, trying to flex muscles by being negative. Maybe it was the truth, having tasted hundreds of Minnesota wines starting in the mid 1990’s and honestly not finding much to be excited about. Then something happened around 2006. The wines got better. Suddenly better, almost overnight. This was the start of leap number two. 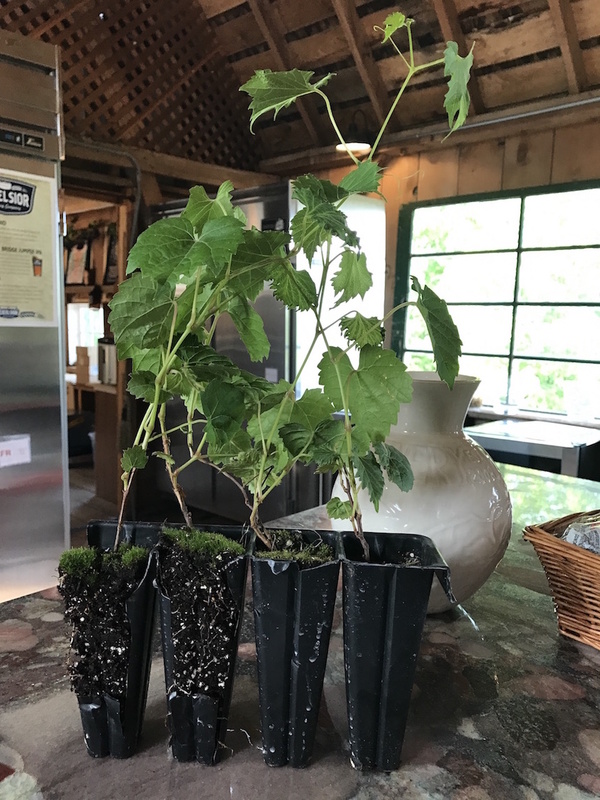 Baby Itasca vines ready to be planted. Leap number two was a direct result of the University of Minnesota’s cold climate grape program, which in many ways took the same kind of energy they put into corn and soybean research in the 1950’s and 60’s (the “feel the world” movement), and the energy they put into apple development in the 1970’s and 80’s (bringing us the Haralson, Honeycrisp, and SweetTango), and chartered it into cold hardy grape hybrids specifically for winemaking. The stories behind the program are well known, with Anna Katharine Mansfield leading the charge on new breeding development (amongst many others of course, but I saw Mansfield’s appointment at the U of M as a pivot point). Several key releases came directly from this program: Frontenac in 1996, La Crescent in 2002, and most importantly Marquette in 2006. Almost overnight, there was an opportunity for serious hobbyists to plant serious vineyards, bordering on commercial operations. Keep in mind that at the time, the late 2000’s, there was still only one winery in Minnesota that made 100% of their income from wine alone (Alexis Bailly of Hastings) rather than having the farm be a smaller part of a larger financial portfolio (many of the vineyards planted in the mid 2000’s were owned by lawyers, doctors, or buyer groups). The Minnesota wine industry, on the cusp of growing fast, was still an infant. But these new varieties were stirring the energy up in many people. Visions of rows of vines, tasting rooms, ice buckets brimming with bottles next to bocce courts, and people lining up to taste the new releases was too powerful for some. 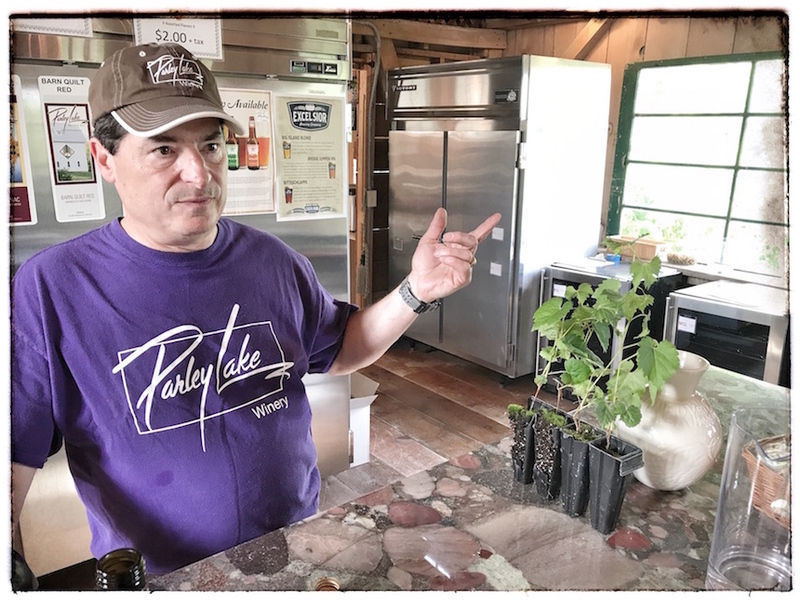 Wineries like Parley Lake, profiled below, and dozens more suddenly set up shop. With the sudden popularity of the wineries, they needed more fruit, causing a supply and demand curve to develop. Vineyards got planted, and got planted fast, much like what happened in Napa and Sonoma in the 1970’s and 80’s. And just like what happened in California, we learned the hard way about terroir. And that brings us to the third great leap in Minnesota wine: discovering our terroir and how best to make our wines. Cruising around the property at Parley Lake, Zellar continued to point out details that they have learned over the years. Such as the fallacy of thinking that south and east facing hills would be best for vines, giving them first crack at the springtime sunlight and heat (growers in Piemonte, Italy have a great term for it: the sorí, which is the one spot on the hill where the snow melts first). 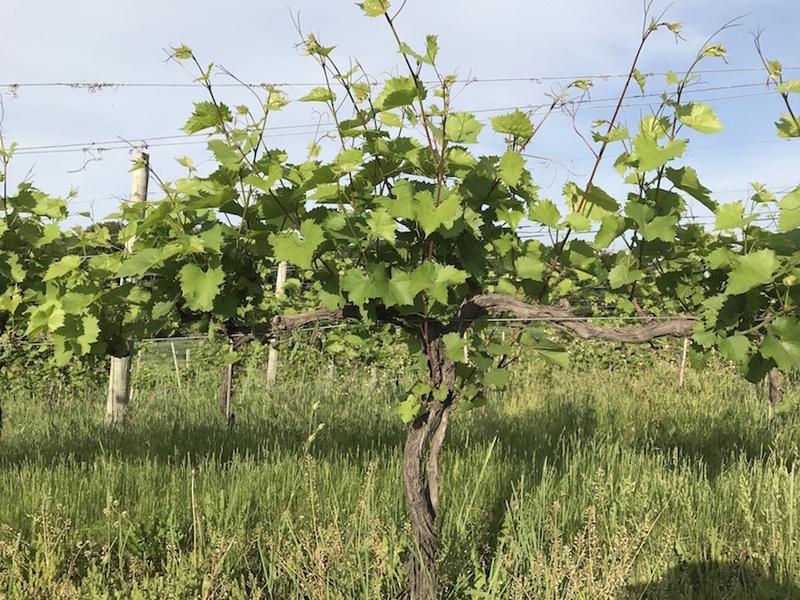 “The problem with south and east is those vines wake up first, and sometimes too early.” If those vines flower ahead of the last frost, then they get hit hard with the all too often April cold blast we expect in Minnesota. 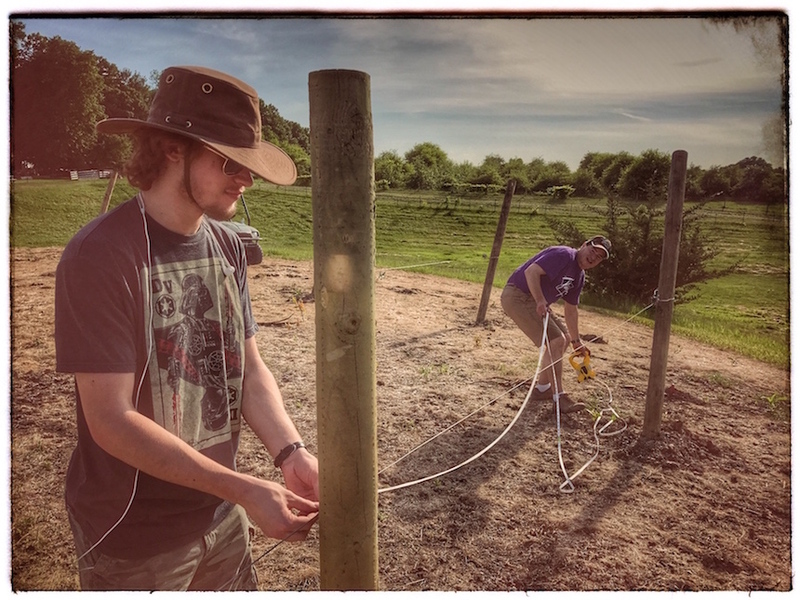 Only with time and failure have we started to crack the code of Minnesota wine terroir, just as every wine region in the world has gone through. Marquette Vines, ten years old and planted at the right elevation, just out of the cold. And then there is the constant replanting of vineyards stuck by a polar vortex or disease. An endless cycle of pulling out the mediocre and replacing with something you can only hope will be better, for there is not experience out there to know for sure. During our visit we helped mark out the new Itasca plantings, going in the ground as I type. Itasca is the latest release from the University of Minnesota, a white wine with stunning heartiness and potential. When Marquette was released there was a ‘playbook’ of sorts from the University of Minnesota on suggested soils, exposures, planting and trellising styles, plant management, etc. But quickly, just as with any new variety, different growers started playing with different techniques, some to great success. The first Marquette was commercially planted in 2006, much more in 2007-2010. We are just now starting to get our heads around how it grows best. But at the same time, demand through curiosity is going through the roof, which has led to an amazing situation when you look at the value of these grapes. While all of this experimentation was going on, something magical happened, something that also happened in Italy and France hundreds of years ago. The new red grape released in 1996, Frontenac, has one particular problem: an overwhelming amount of acidity. Often times out of control, and often times far too big to tame in the winery, Frontenac became a beast in the glass, demanding a burger or a rack of ribs nearby to counter the intensity. Around 2012 or so, after being in the ground for a few years, three Frontenac vines in Minnesota spontaneously mutated and dropped their pigment. This same thing happened hundreds of years ago in Italy and France as Pinot Noir dropped pigment to give us Pinot Gris/Grigio (“Grey Pinot”) and Pinot Blanc (“White Pinot). Suddenly, with Frontenac Blanc we had something at could embrace the acidity and run with it. Smart growers isolated the mutation and propagated the vines. Select growers in the know got their hands on the material and rushed it to the vineyards. Lo and behold, we had a new variety on our hands, and it came to us the same way vines have been evolving around the world for millennia: by chance. At the 2015 Cold Climate Grape Conference I tried my first Frontenac Blanc, poured by Zellar at the Parley Lake booth. It was the moment everything changed for me regarding Minnesota wine. Not only was it dry, sharp, and delicious, but it was also complex and evolving. It was everything I wanted in a white wine, and equivalent in quality to many of the wines of the Loire Valley that I hold near and dear. Schram is an oak junkie. Through careful acquisition and experimentation he’s build an amazing cellar under his tasting room, housing some of the top oak barrel brands in high demand the world over. 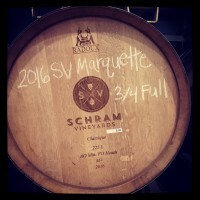 But it doesn’t stop there: Schram actually sent Minnesota wood to France for drying and construction by the best barrel makers in the world, making for select barrels where the staves are Minnesota but the tops and bottoms are French. 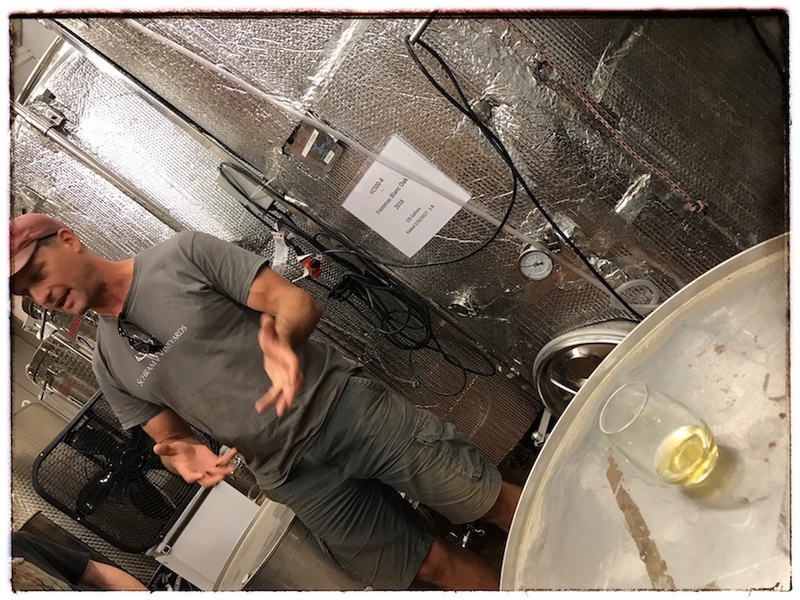 Arron Schram is hard to contain when he talks about barrels and yeast and fermentation. One thing he likes to point out is that with the wide variety of yeast available to the winemaker, combined with the new varieties coming out from the University of Minnesota, combined with the first experiments of things like different oak on different wines, combined with increasing consumer curiosity and a “buy local” mentality, we are only at the start of something bigger. Back to the oak aged Frontenac Blanc: regardless of what you think of something like Rombauer Chardonnay, this is a wine that could potentially compete with it on a by the glass program. The bigness, the richness, the texture, and the power all combine to justify the higher pricetag that it would demand but it would be a glorious glass to pour for the oaky Chardonnay crowd and watch their reaction. The wine is not yet released or available to taste, but it will be fascinating to see where this experiment leads. Schram shared a story about a Marquette roundtable (confirmed by Steve Zellar as well), in which a couple dozen of the most serious grape growers and winemakers of Minnesota gathered recently to blind taste a range of Marquette to start to understand who is doing what, what the results are, and how we can make this into something great for the state and region. This is identical to what happened in the 1970’s when a handful of Pinot Noir growers in Willamette Valley started to gather to compare notes, sharing knowledge, and realizing the growth of the industry is collective energy that will help everybody equally. Lett, Adelsheim, Sokol Blosser, Erath, they were all pioneers fifty years ago when the Willamette Valley wine industry was just getting going. Steve Zellar parked the 4×4 on top of the hill. “It’s a great view, and a nice little amphitheater.” He wasn’t talking about a new vineyard planting. He was talking about where a little stage is going to go, specifically for weddings. 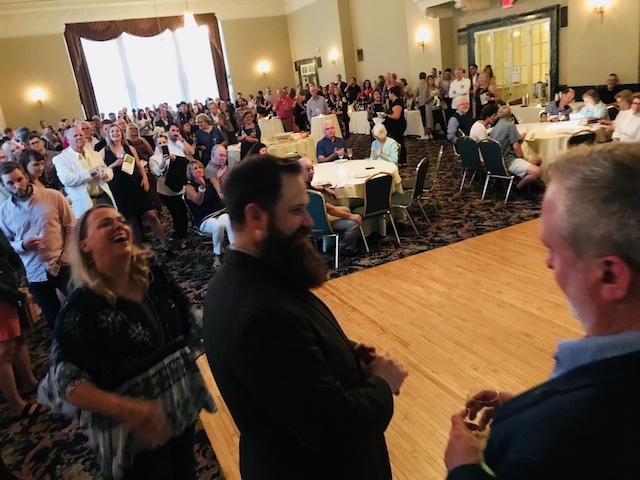 Later, he shared the massive updates they are planning for the barn, including a restaurant grade kitchen, new bathrooms, private tasting rooms, and more. The future of Minnesota wine, as I wrote about in 2013, is about context. 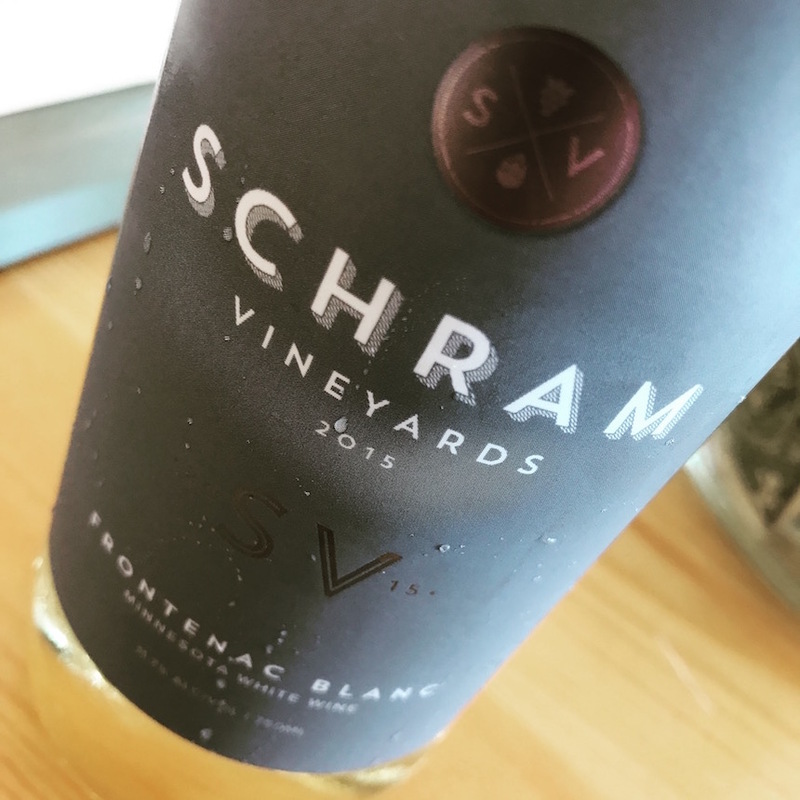 A big part of context is the experience at the winery itself, and winding up the gravel roads around Waconia and visiting Schram Vineyards and Parley Lake Winery, and seeing the tables set up and people laughing and clinking glasses and taking in the views reaffirmed something in me: it doesn’t have to only be about the wine. It’s about the experience and the people you are with. Will we be the next Willamette Valley? Doubtful, for we simply can’t grow what they can. But my current conclusion on the Minnesota wine industry is this: there is no way that ten years ago I could have seen this growth coming. It was not realistic to me that a Minnesota grown wine variety would fetch $2000 a ton. And as the wineries fill up on summer and fall weekends, taking in the views, listening to live music, watching young people get married, enjoying food from trucks, I can’t help but think we need even more of this. Visiting these wineries is quick and easy for Twin Cities residents. Only twenty minutes west from Eden Prairie, yet a world away from the cities. Both offer a full range of wine, beautiful vistas, and the occasional food truck. Jason – I am so glad to read this! I visited Schram for the first time recently and not only do they have a good product, but they also have a lovely spot + beer. I know this is about the wine, but I appreciate the full experience. We also went to Parley Lake on this same trek and I had the Frontenac Gris not the Frontenac Blanc, so I obviously need to go back. Go MN! Jason thanks for this great article! I am guilty guilty guilty of the same “blinders” when it comes to pre-judging our local wines. Possibly some of us wine professionals can’t lead but must follow the crowds to catch up with these exciting developments! I’m guilty again. Waconia is on my map. Much like Iowa wines, the central problem has been winemaking skills. Without some serious management practices and a break through in grape breeding, these states will never produce great winemaking grapes. Even in traditional grape growing/wine making areas, they have years when the crops do not have the best winemaking qualities. 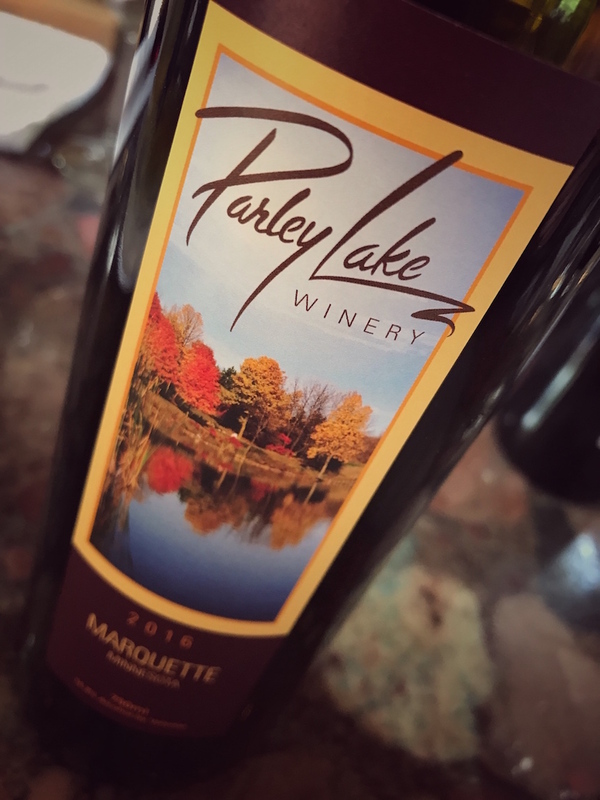 Nice to see a positive article on the many high quality wines being made in MN today, and those at Parley Lake and Schram in particular. However, I have to clear up one point. 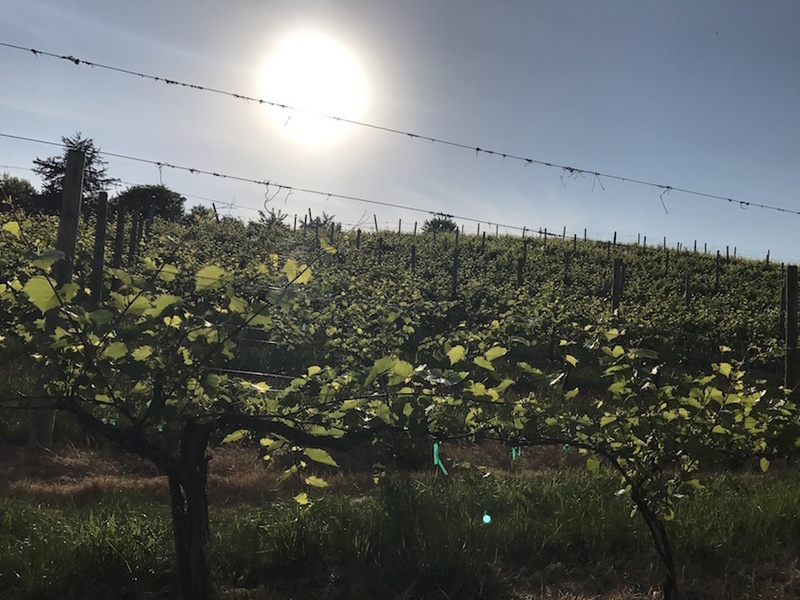 While Anna Katherine is a good friend of mine and she certainly made many contributions to the U of M’s grape and wine program, to say she was “leading the charge on new breeding development” is far from accurate. She was the enologist and I was the grape breeder making crosses and selections, including Marquette, La Crescent, Frontenac gris and Itasca. Hi Peter – THANK YOU!! In my contact with the U of M during that era my only communication was with Anna, and I obviously transposed her title and contributions. And in that same light I want to say a huge thank you for the work you’ve done on the breeding program! Keep in touch and well done with the work of the recent years. Would love for you to try the Marquette at a few other local wineries. Example Cannon River Winery out of Cannon Falls or Four Daughters in Rochester, compare the wines and give you tjoughts.